Judge D. Randall Frye offers some advice on preventing fraudulent activity after the recent uncovering of a massive Social Security Disability Insurance (SSDI) scheme in New York City. Judge Frye regularly hears Social Security disability cases. Judge Frye suggested allowing Social Security Administration officials to investigate claimants’ social media accounts to gather first-hand information of their activities. By looking at the materials that claimants make public online, investigators can make evaluations about the claimant’s degree of disability. Applying for, or appealing Social Security disability benefits can be easier with the help of a Social Security disability lawyer. Additionally, Social Security disability lawyers can help negotiate the terms of benefits. 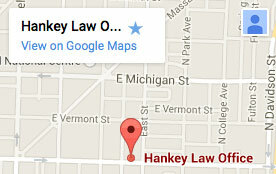 If you are in need of a lawyer in Indianapolis, contact the attorneys of Hankey Law Office. To speak with a member of our legal team, call (800) 520-3633.